Is the End of Renewables Nigh as Fukushima Anniversary Nears? In the run-up to the 11 March anniversary of the Fukushima reactor meltdown, the steady drip of anti-renewables articles in the mainstream media will become a torrent as the nuclear lobby cranks up its public relations machine. And they’re taking aim at European feed-in tariffs, no doubt because of their success. Germany is particularly in their cross-hairs because of its massive development of renewable energy over the past two decades and Germany’s plan to close all its reactors for good. I call this the “end is nigh” strategy. For example, expect to hear that Germany doesn’t really produce much with all those renewables, doesn’t really employ that many people building wind turbines and solar panels, and has finally seen reason and is abandoning feed-in tariffs. Here in the US, we saw this approach at work this week when one of our most famous right-wing “shock jocks,” Rush Limbaugh, trying to deflect a storm of criticism over his most-recent sexist remarks, launch a diatribe that building wind turbines and solar panels does not create “real jobs”. That leaves one with the impression that the only “real jobs” are those involved with building, or repairing nuclear power plants–or, we should add–trying to save them from destruction. Since the 1930s, the key to effective propaganda has been to build it around an element of truth. Thus the media and the blogosphere–at least here in the English-speaking world–are having a field day after learning that Germany’s conservative ruling coalition of the CDU and FDP (with particular prodding from Philipp Rösler of the FDP) have reached an agreement to dramatically cut feed-in tariffs for solar photovoltaics (solar PV) even more than already scheduled. With this background in mind, here are some thoughts on what to expect and how to react to the “end of renewables is nigh”. Always check with Germans or English-speakers who live in Germany about what is happening in Germany. (The same can be said for news about France, Italy, Spain, and Portugal.) There is a language barrier. Though a lot can be found in English, I’ve found some appalling translations of German news. One excellent method–one that I use myself–is to look for articles by Craig Morris at Renewables International. Morris, an American, lives in Freiburg, Germany and writes in English about renewable energy. That’s a combination that can’t be beaten. He knows his stuff, and writes insightful articles on the differences in how Germany and the US develop renewable energy. Yes, the CDU and FDP have reached an agreement. Yes, the proposed cuts are severe. Yes, they are more severe than expected. Yes, the industry is howling and there was a demonstration this week in Berlin attesting to that. These are the facts. However, the cuts are not final until the “fat lady sings”. In this case, the Bundesrat makes its decision. The CDU-FDP rule the Bundestag. But laws don’t become official until the Bundesrat, the second chamber, rules. This is one good reason why it is important to understand the political dynamics with the help of someone familiar with the system. The Bundesrat’s authority is limited, but it exists and it is there for a reason. Just this week a politician from the CDU’s sister party, Bavaria’s CSU, said the cuts were too draconian. The situation is fluid-to say the least. Yesterday a post by Craig Morris suggests that the cuts will now be delayed to April. Yes, the installation of solar PV must be reduced. 7,500 MW per year is too much for the German market. In two years, Germany has installed 15,000 MW. They now have a total of 24,000 MW of solar PV. The target last year was 2,500 to 3,500 MW. The current proposal maintains that target. The proposed cuts are intended to slow installations to the targeted amount. Reasonable people can disagree on how much the tariffs need to be cut to reach that target. No, this isn’t the end of the world. No, it’s not the end of renewables in Germany, nor is it the end of Germany’s feed-in tariff policy. The annual targets for solar PV in Germany still represent twice the solar PV installed in the US last year. The proposed cuts only apply to solar PV. Despite Rösler’s claims–repeated ad nauseum over here–that the solar industry is destroying the German economy, the fact remains that increases in the cost of electricity in Germany are largely due to increases in the cost of conventional fuels. While renewables have contributed, they are far from the leading cause. Moreover, as Morris reports, surveys continue to show that Germans are willing to pay for the energy transition from fossil fuels and nuclear to renewable energy. Regardless of the cuts, German development of renewable energy remains a remarkable success at driving down costs, especially that of solar PV. As a result of its feed-in tariff policy, Germany has cut the cost of solar PV to one-third of that just a decade ago! German solar today is significantly less costly than solar PV anywhere in North America. And German solar PV will be even less expensive than anything on this side of the Atlantic after the new cuts go into effect. So, no, this isn’t the end of the world. It is a sign of a maturing market. Some conservative academic commentators on the situation in Germany have made some truly egregious errors in their attempts to belittle what has been accomplished. These are errors so serious it calls into question their intellectual integrity, if not their competency. The most serious error is confusing the mix of renewable resources in Germany’s electric ity system with that of the country’s energy mix of “energy” sources. Electricity is only a part of a country’s energy mix. The Germans are good at publishing data in English on the role of renewables in both electricity and the broader energy market. This data is not hard to find. In 2011, renewables–for the first time in the modern era–contributed more than 20% of “electricity” consumption. German solar PV alone delivered more than 3% of “electricity” consumption last year. This is a simple fact that can’t be ignored. And despite closing 40% of its reactors after Fukushima, Germany was still able to export 5 TWh–about 1% of total generation–to neighboring countries. The looming shutdown of every single one of Japan’s nuclear plants—previously the providers of nearly one-third of the nation’s electricity—has accelerated the country’s initiatives on conservation, renewable energy sources, and decentralization of electricity supply. It has also injected considerable momentum into Japan’s “green cities” initiative.These changes are being fought by those who insist that Japan cannot live without nuclear power. The opponents include not just the utilities, but the banks who lent so much to the utilities, Keidanren (the main business federation) and much of the national government.However, the growing cost of energy and worries about power supply are pushing firms and local governments to find alternatives. 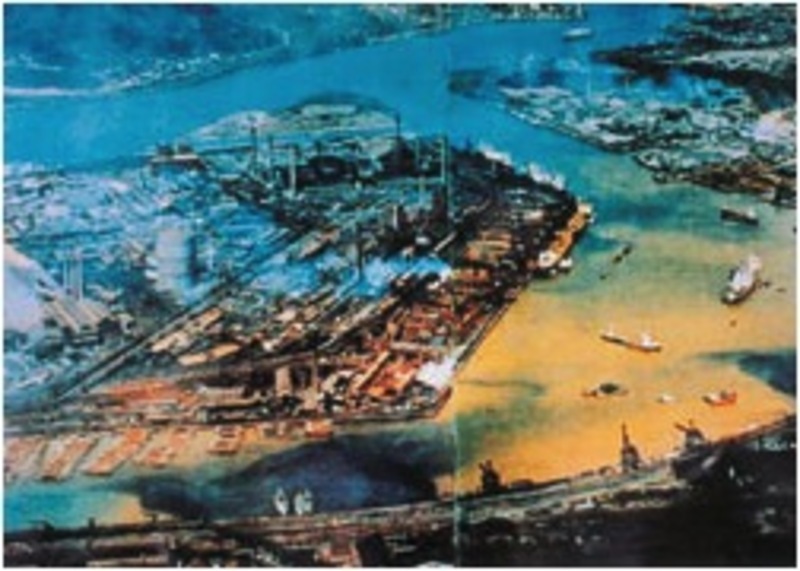 Japan responded with surprisingly rapid success in conservation and efficiency after the oil crises of 1973 and 1979. It may do so again. At present, only two of Japan’s 54 nuclear reactors are operating. One of these will be shut down at the end of the March, and the last one will go off-line in late April or early May. Minister of Economy, Trade and Industry (METI) Edano Yukio says that Japan seems likely to spend this summer with no nuclear reactors in operation at all.Japanese reactors have regular, 13-month maintenance schedules, and the approval of national and local authorities is required before they can be restarted. In order to reassure a newly resistant public of their safety, the nuclear reactors were subject to new “stress tests” as of last year. But in late February, the stress tests were publicly deemed inadequate by Madarame Haruki, Chairman of the Nuclear Safety Commission and a long-time proponent of nuclear power. That criticism has only increased opposition to restarts by prefectural governors, who are in a position to veto them. Even supportive local leaders are now calling for a resolution of the waste-storage problem before any restarts are allowed. These threatened price increases have mobilized a significant push back by Keidanren-centered business interests that still view the nuclear reactors as a cheap source of safe, reliable, low-emissions power and want them restarted. Their desire dovetails with that of the three big financial institutions which hold trillions of yen in loans to TEPCO, the biggest slice in the corporate bond market, as well as financing for other utilities.Their nightmare scenario surely envisions Japan making it through a nuclear-free summer with no major blackouts or supply-chain disruptions. Such a scenario would perhaps tip opinion toward seeing nuclear energy as dispensable even in the short term, and thus lead to trillion of yen in stranded assets.The banks have tried to forestall this outcome by securing reactor restarts as a pre-condition for their advancing any additional finance to a nationalized TEPCO. The financial sector and many large-lot power consumers have put forward a tsunami of arguments that the electricity price increases, resulting from costly purchases in international markets, and uncertainty of supply will exacerbate Japan’s already grim problem of hollowing out. Japan’s rising yen, shrinking population, huge public-sector debt and other handicaps already pose significant disincentives to business investment, and the power issue clearly does not help. While some push nuclear restarts as the answer to the problems of availability and cost, others are accelerating moves towards greater energy efficiency and conservation as well as creating big incentives for the rapid deployment of renewable power. There were startling advances in conservation and energy efficiency last year, driven by compulsory power reductions as well as subsidies and other encouragement.For example, a recent study by market research firm GfK reported that less than 2.2% of household ceiling lights were LED (light-emitting diodes) in January of last year, but by the week of February 13 to 19 of this year had taken a 49.4% share of the market. Falling prices through this mass production also bode well for Japanese electronics makers hard-pressed in international markets by the strong yen.The power-consumption data suggest policy support for efficiency had significant effects. The figures of the Federation of Electric Power Companies in Japan (FERC) for the summer months of 2011 show total nationwide electricity sales, relative to the previous year, down 5% in July, 11.3% in August and 11.4% in September. Data for January 2012 indicate that power generation was down 3.7% compared to January of 2011.Conservation and efficiency were already a growth industry before the nuclear crisis. But the new, unforeseeable spurs to innovation and diffusion may see Japan overshoot “New Growth Strategy” targets for 2020. These were established in June 2010, and aim at a “green innovation” market totaling ¥50 trillion ($625 billion, or 10% of 2011 GDP) and 1.4 million new workers. One example of the growing scale of the conservation incentives is that 80% of 104 major Japanese firms surveyed in late February by the Yomiuri planned to reduce power purchases from TEPCO. More than half (54) of the firms declared that they would invest in conservation, and 14 of the 104 replied that they would deploy some form of in-house power-generation capacity. To respond to this increasing demand for conservation, firms are rushing energy-management systems to market. Toray Engineering for example announced February 29 that it was opening sales on its “Eco-Plant EMS,” an energy management system for use in factories. The system comes with a ¥40 million ($500,000) price tag, but in on-site tests apparently achieved a 30% power reduction of air conditioning and a 10-20% reduction in factory power use overall. Moreover, Japan has increasingly robust policies in place for diffusing renewable alternatives. In particular, its feed-in tariff (FIT)—a long-term subsidy guaranteeing producers a certain rate on the supply of electricity—has been expanded from solar to include wind, biomass, small hydro and geothermal, and will take effect by July 1.Price setting and periods of guarantee are being determined by a five-member consultative committee that held its first meeting on March 6. The pro-renewable majority on the committee suggests these crucial elements of the policy will be robust, perhaps driving rapid diffusion and concomitant price declines in this market as well. Marubeni, NTT, Mitsui, and a host of local governments and other organizations are already committed to large-scale mega-solar, wind and related projects. The most recent data indicate that the total of mega-solar projects announced over the past year is twice what the utilities were planning to install up to 2020. This is strong evidence of how much low-hanging fruit there was in Japan, on renewables. We seem likely to find a similar story in efficiency and conservation. Local governments have been particularly aggressive in responding to the crises driven and exacerbated by the Fukushima shock. The effective collapse of national energy policy has seen many rethink their growth strategies and revamp their intergovernmental organizations, both among themselves as well as between them and the central government. The Fukushima shock was profound for most local governments due to the existential threat to power supplies as well as the central government’s abysmal crisis management in the weeks following the disaster.Major local governments such as Metropolitan Tokyo and Osaka are especially concerned by their vulnerability to highly centralized power generation and transmission as well as its clearly incompetent governance by the national administration. One of their responses to this threat from centralized, overly complex energy institutions dominated by vested interests has been to increase local resilience and autonomy via decentralized power generation. Tokyo, for example, determined that it needed its own generation capacity in order to maintain subway transport and other critical functions in the event of an emergency. So it is installing gas-fired power and a small-scale smart grid separate from the TEPCO utility. Also, Osaka City and Osaka Prefecture have banded together to launch an energy commission, which met on February 27. They are explicitly committed to ramping up conservation and renewables in the face of the central government’s immobilism. 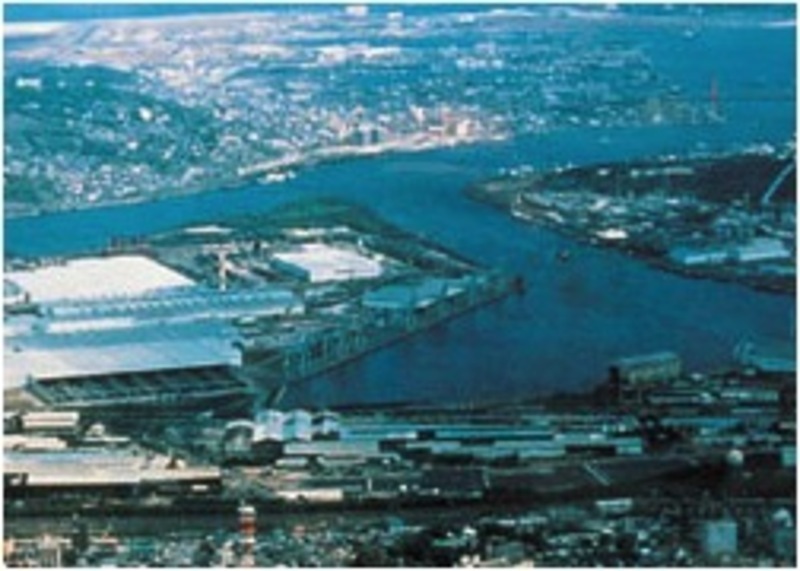 Kobe and Kyoto have joined Osaka as partners in the effort.Other prefectures, including Kanagawa and Saitama, are also explicitly aiming their policymaking at efficiency and fostering an energy shift to renewable power so as to enhance self-reliance, employment and business opportunities, as well as international competitiveness. As of late February, local governments’ Fiscal 2012 initial budget compilations have a combined ¥52 billion ($650 million) investment aimed at fostering renewable power projects. While not tallied and energy efficiency are many multiples of the budget for renewables. The central government’s feed-in-tariff adds to these kinds of generalized incentives to enhance local resilience. The central government seems deeply conflicted. On the one hand, it appears to be waiting for a crisis in power supply to drive restarts. On the other hand, it is using the ongoing crisis to act rapidly to reshape the power economy and thus leverage green growth prospects. So, Prime Minister Noda Yoshihiko, partial to MOF and the banks, repeatedly calls for restarts while distracting himself with crafting visions for raising the consumption tax, though such fiscal austerity killed a recovery back in 1997. And his METI Minister, Edano Yukio, announced in a January 26 press conference that restarts might be unavoidable, yet failed to outline any serious initiatives for further incentivizing efficiency. Surely both understand that the longer they dawdle, allowing uncertainty free reign, the more damage is done to incentives to invest in Japan. As we have seen repeatedly over the past year, the nuclear lobby will say almost anything to keep their assets from becoming stranded. And that is what they are doing now, while the Noda Cabinet is preoccupied with papering over its divisions.However, at the same time, central agencies are also rushing to keep up with events by deregulating so as to foster new industry as well as to open farmland, waterways and parks to renewable power projects. Among recent moves, the METI is indicating that it will exempt solar from the factory site regulations on green space as well as include solar in calculations of peak-power supply. Even the EU countries don’t do the latter as their peak demand is at night. But Japan’s peak is in daytime in the summer due to air-conditioning demand, and this coincides well with peak insolation and solar output. Also, the Ministry of Agriculture, Forestry and Fisheries recently announced 1000 regional sites for small hydro and other renewable projects. There is more than a little irony in seeing the political class that was elected on a promise to displace bureaucrats being outclassed by them in a crisis. There are seven special zones as of February 2012. In total, they comprise budgetary requests of ¥153.9 billion yen ($1.9 billion) which are expected to lead to ¥6.97 trillion ($85 billion) in new economic activity and 298,000 new jobs.There are at present 26 regional revitalization zones. The ambit of this zone program includes disaster prevention and mitigation, environment and next-generation industry, tourism and culture, agriculture, biomass, finance and social business, healthcare and nursing. The total fiscal scale of the zones is ¥63 billion ($0.7 billion) that is expected to lead to ¥2.15 trillion ($26 billion) in new business activity and 67,000 new jobs.The tax breaks in the international strategy zone are focused on lowering the corporate tax in order to foster competitiveness in international markets, while those in the regional revitalization zones centre on deductions for individual investment in enterprises that are part of the strategy. This flurry of deregulation policies is increasingly being funneled into the larger environmental “future city” initiative. This latter policy regime carries on from the “eco-model city” program that was put in place in the summer of 2008, and has helped environmental award-winning cities like Kitakyushu in Fukuoka Prefecture deepen their green business and expand their overseas sales. Kitakyushu last year became the first Asian city for the OECD’s Green City Program. It is also exporting its expertise on recycling to such Chinese cities as Dalian and Qingdao. And it is expanding its reach in the global water business that in 2007 was assessed at ¥36.2 trillion ($440 billion) and is expected to reach ¥86.5 trillion ($1.05 trillion) in 2025. Kitakyushu’s water-management business is finding purchasers in Cambodia’s Phnom Penh as well as Vietnam’s Hai Phong. The future city policy that Kitakyushu is part of was adopted as one of the 21 national strategic projects of the “new growth strategy” passed on June 18, 2010.This initiative is not simply for green growth; it also includes measures for dealing with rapidly aging societies and disseminating policy lessons learned from within the eco-model cities. The initiative seeks synergies among these categories as well as from among the recipient cities. On December 22, 11 cities were selected as eco-model cities. Five were outside of Tohoku, the area hit by the earthquake. These five include Kitakyushu and Yokohama among those previously designated as eco-model cities. But after March 11, 2011, the national authorities expanded the group to include six from the affected area. These six cities include hard-hit Minamisoma and Kamaishi. To what extent will these nice-sounding initiatives actually bear fruit? That remains to be seen. But to make an assessment of the chances, we need to get back to the context for all these policy moves. The potential for a zero-nuclear summer certainly presents risks to Japan. But it also affords an opportunity to ramp up the diffusion of cutting edge conservation and renewable technologies as well as to accelerate other focused action in this existing set of policies for fostering sustainable growth in green cities. With powerful pressure from subnational governments, the green cities policy regime may become the agency for driving the Japanese political economy onto a sustainable growth track. The more Japan is pressed to rapidly innovate models of green city growth, the greater its prospects of realizing the national strategy of expanding green-city exports. The problem with implementing this national strategy hitherto has been the enormous weight of vested interests in the power and Keidanren-centered manufacturing sector. They seek to shape green growth to accord with their own institutional interests which have long been bound up with nuclear power and TEPCO. Among other unwise things, that meant maintaining power monopolies and suppressing the diffusion of renewables and smart grids. Such interests are incompatible with the most competitive and sustainable green city model. Rather, the weight of vested interests has threatened to produce something of a “Galapagos effect,” referring to an environment found nowhere else, giving Japan a hamstrung green city model unsuited to most of the potential green-city markets in rapidly growing Asia and other regions. Recommended citation: Andrew DeWit, ‘Japan’s Remarkable Renewable Energy Drive- After Fukushima,’ The Asia-Pacific Journal, Vol 10, Issue 11, No 10, March 11, 2012.